The second 42-meter sailing yacht in the E-volution line is for sale by Perini Navi, the world’s leader in the design and build of sailing and motoryachts. The new 42m S/Y, the first unit in the GTS series, has been sold to an expert European owner and will be delivered in spring 2021. 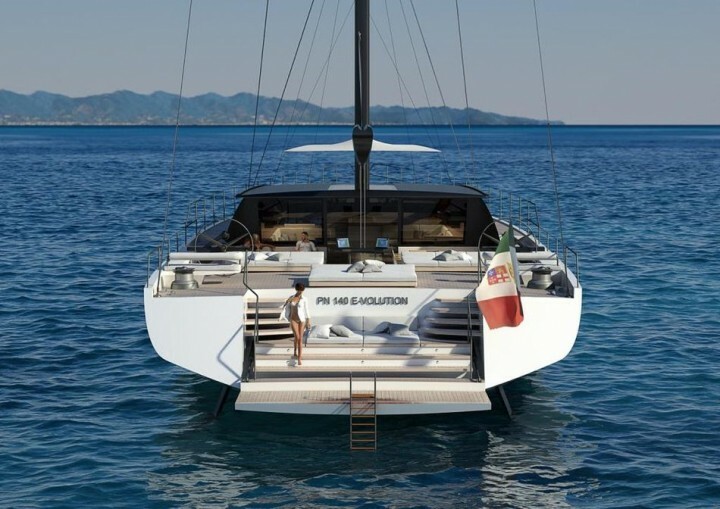 Based on the platform developed for the first 42-meter E-volution, with a concept and styling by Perini Navi and naval architecture by Reichel Pugh, this second unit combines aluminium and carbon to deliver superior performance. Several aspects of the naval architecture have been modified, including the keel and the sail plan. The mast has been increased to “Panamax height” (62.5 meters) and the keel extended to a maximum depth of 7.40 meters. 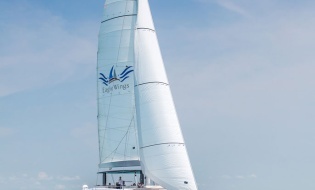 The new sail plan features a square top mainsail, an extended boom and a 4-meter bowsprit to maximise the sail surface. To improve performance still further, a series of changes have also been made to significantly reduce the displacement. They include work on the deck house and the use of carbon for various fittings, as well as the optimisation of the propulsion system and structural features. The new design combines the characteristics of the 42m E-volution series, including clean lines, ample space and a big stern platform, with a more streamlined deck house as requested by the owner.The interior design will be by Barcelona-based firm GCA jointly with Perini Navi. • 56 m motor yacht Voyager.